After joining a friend’s team in her school years, Nina Wollaston was hooked on Track & Road cycling! The 21 year old holds two National U19 titles & a few National medals. She has previously placed 3rd at Junior Track World Championships in the Team Pursuit & has raced the Elite Team Pursuit at a couple of World Cups, placing 5th & 6th. 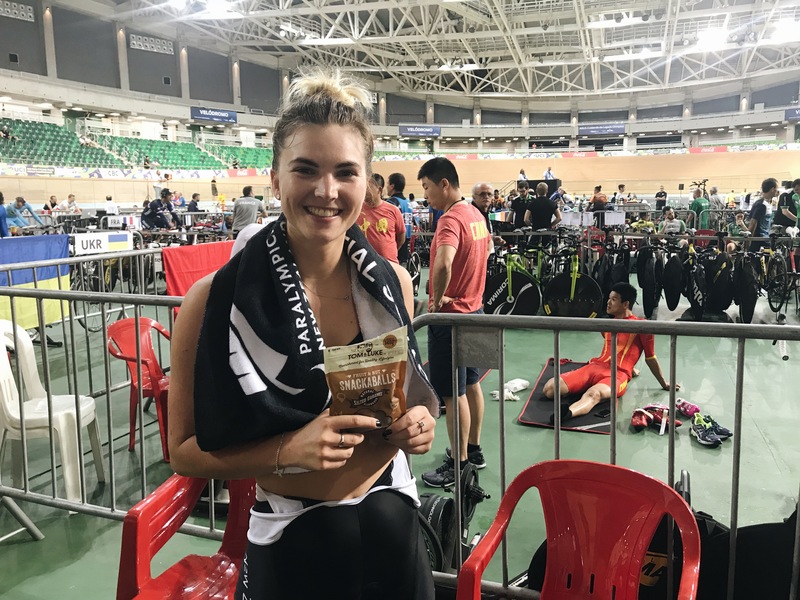 Currently focused on Para-Cycling, she recently placed 5th at the Para-Cycling World Championships racing the Individual Pursuit on the Tandem. How long have you been involved in Track & Road Cycling? I’ve been riding a bike since I was around 14 (I’m now 21), but track since around the age of 17. A friend at school needed another rider to create a team so I filled the gap, and have been hooked since then! Dad was into riding as well so he was always really interested and encouraging. The older I got, the fewer sports I continued playing until it ended up being only cycling. What does a day in the life of Nina look like? My days vary quite drastically depending where I am and what phase I am training for. At the moment, I have been pretty busy, so a day in my life may look like breakfast first thing (overnight oats…ALWAYS! ), then either head out on the road for a few hours or jump on the erg. In my down time, I am doing 2 papers this semester towards my business degree, catching up with friends, doing some admin work or just recovering watching Netflix/youtube! I then might have gym training, or a second bike session. On the non-double days I book appointments such as physio, massage, or coffee catch-ups. I’m definitely a religious 8-hour at least sleeper and love my nana-time tea and chocolate at night! The beginning of 2017 was a tipping point in my sporting career; I missed out on reselection to the Cycling NZ track squad, leaving me on my own without direction. After a bit of deliberating I decided to get training again only to collide with a car and badly break my elbow. But hey, bones heal and so do scars, I think I have come out with a new perspective on the sport and can get more enjoyment out of it which to me is the real goal. It’s sometimes hard not having a long term goal set in mind because I am still going with the flow and taking on new opportunities, some athletes can’t understand that. But it’s also fun because I take people by surprise with new things and it refreshes my mind – my latest thing is riding on the tandem for Para-Cycling NZ! Hugely…! But I put this pressure on myself. I make sure I always have a paper I am working on at uni and over the past few months I have been working at an admin part time job too. This way I can think about cycling when I am doing it, and have something to take my mind off it when I am not training. It gives me goals outside of sport and helps me feel independent. Lately I have been training for the Para-Cycling World Championships so having a short-term goal is really motivating, but so is knowing my tandem partner is training away so I am not doing it just for myself. I also find the satisfaction after a good session incredibly motivating, particularly because I so badly hate the guilt of completing a number of bad sessions so I try to avoid that the best I can. Breakfast is my most important meal of the day, I always look forward to it! Having a full stomach at the start of the day keeps me fuelled for training, then I listen to my body and snack when I get hungry in between meals (often…). When I am out for long rides I need to eat when I am out there, I alter between having a Snackaball every 30-40 mins or take a Super Slice to snack on. 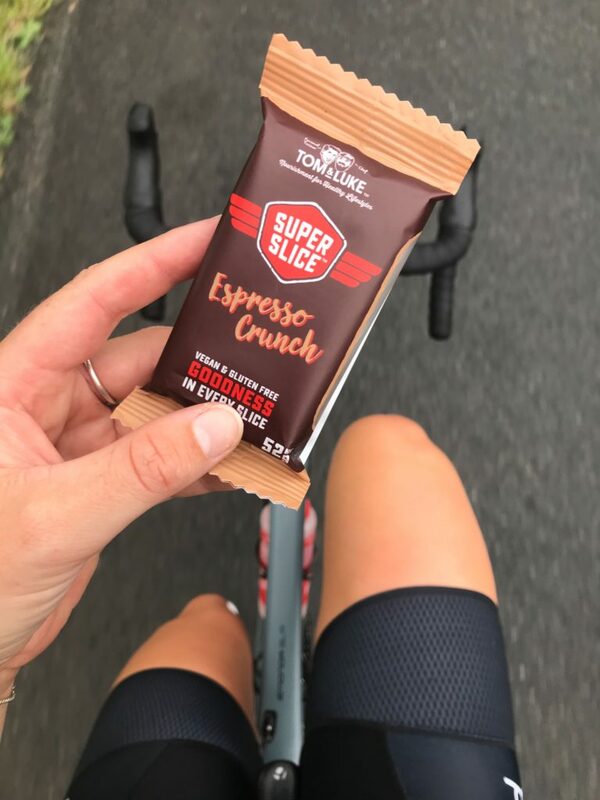 As I am often on the go, either going to work or uni straight after training, I always take snacks in the fear of getting ‘hangry’, so I’m lucky having access to a healthy and tasty snack I can trust! Firstly, make sure you love what you are doing. You’ll find the further you get along in your sport, the more time you will be dedicating towards it. If you start to realise it becomes a burden, or you dread it, maybe it’s time to question why you do it in the first place, and who you are doing it for. Secondly, finding the balance is what I always work on. I balance my sport, social life, and study on a daily basis. Reason being they are all important aspects of my life, they keep me distracted from each other. They attract different friend groups, and they are all back-up focuses. If one goes pear-shaped I know there are other values to my life.